Home Forums Mechanical Turk Daily Work Threads 10/31 - Wah Wah WoooooOOOOooooOOOooo Wednesday! 10/31 - Wah Wah WoooooOOOOooooOOOooo Wednesday! Discussion in 'Daily Work Threads' started by jklmnop, Oct 31, 2018. A HyperX mechanical. A coworker let me borrow their Corsair Strafe for the day and I fell in love. I loved the Strafe, but I also really liked the feel of the Hyper.. plus it was $50 cheaper! nopoopwarez, A6_Foul_Out, Merovign and 1 other person like this. You were DA BOMB today!! Thank you! Captain Catbeard, MikeC44, Veltora Otew and 3 others like this. Not really. The only real way would be if the survey links were the same, but then the browser should just mark that as visited. Everything else would be far to much work for such little gain. Your memory will work better than a script would for something like this. I bought this memory foam mattress from Amazon and it's 2 inches too big for the bed frame I have. savvylabell, nopoopwarez, turkleton and 5 others like this. 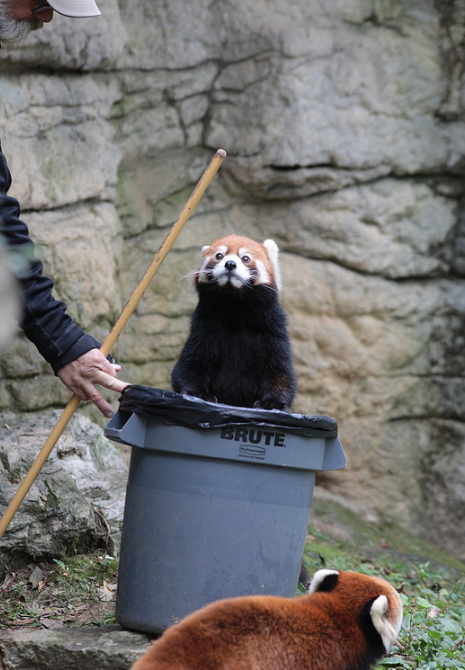 Someone threw away a perfectly good red panda. alk69, Merovign, nopoopwarez and 5 others like this. I told you I wanted the white iPanda for Christmas, dad! I hate you, you just don't get me! mboone73 and lolkatB like this. Did anybody else have an issue on the subway Gershman survey where it would freeze and start back over at the instructions? It finally let me get through the whole thing after resetting me 4-5 times, and after I finished and submitted, I sent a message explaining what happened. GemStone, EnterNameHere, nopoopwarez and 2 others like this. Description: Which associations between names and English words are stereotypes? yall ruining these noahs with me or what? anyting else good? I'm doing the only one without the state exclusions, yeah. I stepped off of it for a while for A9s because I'm getting my HITs up. I have to say, some of you people on the outlining Noahs do some damn fine work. I mean when every tiny tuft of hair on the cow is carefully drawn around, impressive stuff. Yeah, it's good stuff. Of course there are also sometimes the ones who think I'm going to approve a triangle clipped around the reticle when it's over something clearly visible in the foreground, but I expect and hope those aren't from people in these threads. I've never seen taste of the world put hits out that weren't closed qual. Is this something they do now and again, or is this a chance for a qualification? I realized on one of the Noahs I downvoted myself. Mostly I think I did pretty well, though. IIRC that qual has been closed for going on five years now.